When writers get lost in their own world…. I saw a great quote and now I’m compelled to blog. I’m meant to be editing but I get very distracted and editing is not my most favourite pastimes. Facebook lures me in and I think I’ll only have a quick scroll but end up getting involved in it for hours. Blogging when I’m not writing is sometimes sooo nice when you need to pour words from your head onto some sort of space whether it be paper or a simple internet page. My recent drive to the middle of nowhere (South Australia) left ideas tumbling from my head and I’ve been desperate to catch them before they float away. (Ahhh analogies – words so sweet they rope in your imagination regardless of what you’re reading). So editing has been put aside and these ideas have spilled onto my page without even needing to think. I’m not sure about other writer but for me when I’m in love with a scene/s thats in my head the words appear on the page as though I am reading them rather than creating them. Its as though my head has already created the story and now I’m just reading it to my hand to put down on paper. To me its magical. Like a river that flows without pause. The words and story are there and there’s no need to ask for them. 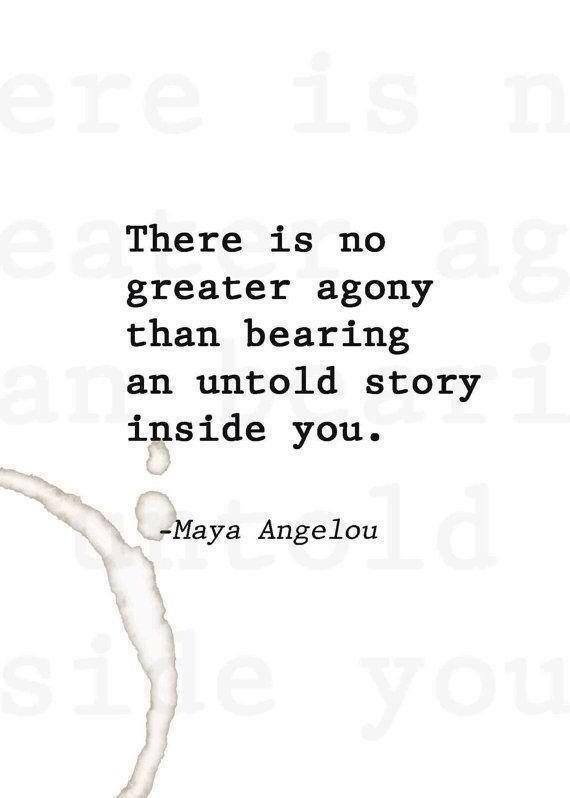 These stories want to be told, they want to be read by others and I’m simply the vessel that gives them that chance. Its a beautiful concept. Last week there was a cooking accident which left me with a chunk missing out of my finger and a fair amount of bleeding which took quite a long time to stop. My husband who is fantastic in a crisis *note the sarcasm* ran around the kitchen pretending to get something to help. Ironically he was actually standing in front of a box of tissue but instead of giving me some he just ran around. Ahhh males, at least they’re good for some things – I think. So the top of my finger was left a little more pointy and wrapped in a lot of sticky bandage. This made it impossible to type – not a good thing when your heads overflowing with thoughts. I did what I knew I had to and that was sit down with a book and a pencil. I have terrible hand writing and for some reason I find it easier to write with a pencil. And so armed with my equipment I sat down and I wrote. I ignored life and ventured into my own world, where my stories where real and everything else is not. My blog is about how when writing I go into my own world and in my ‘real’ life things just don’t seem as real or as important anymore. Of course I get lost in my thoughts when blog and I apologise to those reading (I feel so privileged when people read my thoughts) this crazy blog but back on course. I don’t know really any authors personal 😦 but I wonder if they get lost in their created worlds. My poor husband seems to understand my craziness and gives me space when I need to write – and when I say need to I MEAN need to. Well he talks about boring things that don’t exactly require a lot of participation in the conversation on my behalf. Whilst driving like thousands of kms the second book (I use that word because I have faith that I WILL make these manuscripts into books) sprawled out in front of me and mapped itself out. It’s not like perfectly mapped out by the storyline came to me and some important scenes played in my head. Thankfully I’m a skilled driver especially of the truck that I’ve owned for 7yrs now (its my baby and I bought it from new when I was like 19!) I’ve driven over 250,000kms in it so needless to say I know it better than the back of my hand and in saying that when I type I lok at my fingers and not the screen – the exact opposite of a normal typer but I always know when I’ve made a mistake that means I look at my hands a lot! Whilst I drove the truck in many parts of rural Aus there is absolutely NOTHING to look at. I mean you’ve seen one tree/bush you’ve seen them all the same with roos as long as they stay off the road. As I drove the ideas blossomed in my head. I know Alex (my main character) and she feels like a real person to me so I like to really create great stories for her ‘life’. I want them to shape her, make her stronger, make her learn about herself and what she’s capable of. The problem with wanting it to be a 4-5 book series is that it’s not until the end that she finally finds the guy she is meant to be with. I know who it is (after many hours fighting with myself about who it should be) but I don’t want it to be obvious because a lot of times that’s not how life works. Relationships can be hard and sometimes there are many events that one must endure before there is that one defining moment that says to you this is my soulmate and at the time you just KNOW. As corny as it sounds for me thats what happened – There was like a life altering moment when everything sort of clicked and I knew I needed this person in my life forever. It was a need not a want, a must not a might. I understand the say when two people just click. It felt like that and after that one moment in time I will do everything in my power to keep this man safe and above all happy because I love him that much. Its essential for my own well being that I make this perfect human happy because that’s what he deserves. I know I got a bit too deep and sentimental but writing a book with love and turmoil in it can be hard when your real life relationship is just so sweet. I feel for Alex because in her future people are going to let her down but most of all she is going to let herself down. Will her life turn out happy? Well where the books stop it will but happiness is earnt as is love and it’s not without loss. She will face some really tough times but the person she becomes will be strong enough to handle it. As you can tell I get lost in this fantasy world and whilst writing and thinking about it, it becomes hard to put all my focus into the real world. Ideas need time to grow and evolve and that all takes time, time which is meant to be spent on things like concentrating on cooking so as not to cut myself =P Around 6000 words later and I’m done writing down my ideas – for the moment. I’ve gone through many MANY pencils (I need to invest in a pencil sharpener as I’ve lost all of my old ones) and a book filled with scriggly writing covering the pages. I will have my book Surrender ready to start the ebook process soon and I was thinking of maybe putting up a few blogs with exerts in them. I have no idea how long it will take to get my ebook ‘online’ so to speak and I’m sure I’ll need talented Beta readers soon but I want people to read the exerts and really be drawn in. I love all of the manuscripts I write although that’s usually after a lot of critism and changes. I did my first Beta reading a few weeks ago on a book Archipelago and intend on giving it a thorough review soon. It is an amazing book and I will definitely be buying a copy of it (wish I could get a signed copy but oh well).